We take your future seriously. That’s why personalized career services are a hallmark of our school. Whether you want to work in Washington, D.C., or anywhere in the world, we’ll help you navigate your individual career options and connect you with resources to ensure you’ll graduate ready to succeed. As an HLS student, you have access to two levels of career resources. We have a career advisor dedicated solely to assisting HLS undergraduates. We also collaborate closely with the Walter Center for Career Achievement, whose wide array of resources are available to HLS undergraduate and graduate students. HLS has partnered with Ascend Indiana to connect our students with Indiana employers in the global marketplace. Members of the Ascend team are on campus every week to meet with HLS students. Find out more at http://ascendindiana.com/. Students selected to participate in this program will work one-on-one with career coaches, participate in professional skills development workshops, and meet with community and global leaders to identify specific career goals and start putting them into action. When should I begin career preparation? We recommend you make an appointment with a career advisor during the first or second semester of your freshman year. An excellent education is critical for career success, but you also need the skills to help you land your first job. We can help you identify your unique strengths and translate them into an impressive resume that reflects who you are and your individual goals. 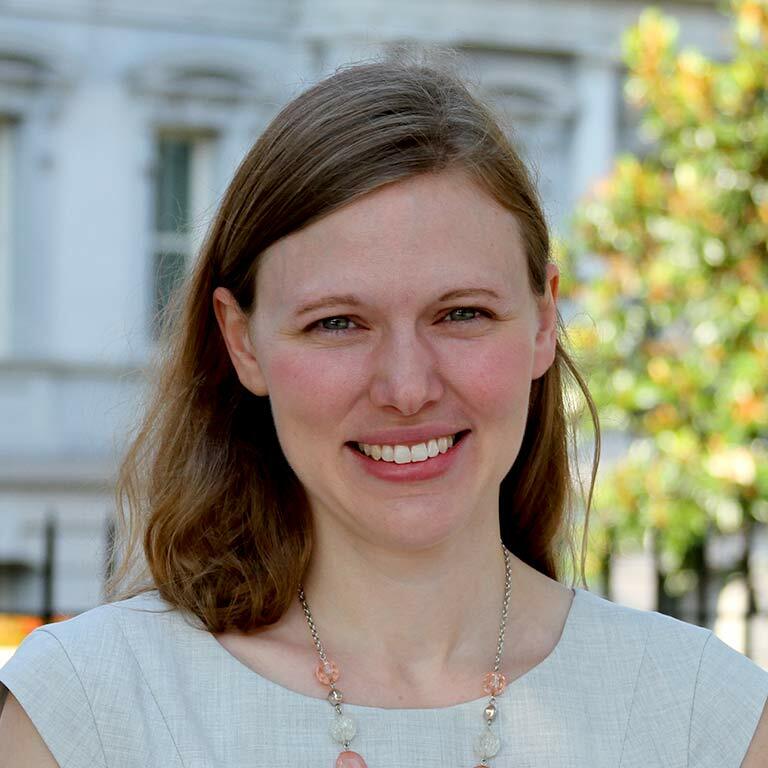 Kathleen Claussen, the associate general counsel at the Office of the U.S. Trade Representative in Washington, D.C., graduated from IU in 2006, before HLS was established. A Wells Scholar, Claussen created her own individualized major (in comparative social policy and ideology), which she combined with a major in Spanish and minors in political science and West European Studies (now part of HLS). She went on to study at Queen’s University in Belfast, Northern Ireland, and to earn her law degree at Yale. She’s been active in D.C. in establishing the Indiana Alumni in International Affairs group. And she talks about HLS with the enthusiasm of an alumna. Engaging with the wealth of opportunities that HLS now has to offer, you can’t go wrong. Doors will open and you just have to pick which door you want to go through. Kathleen Claussen in Washington, D.C. Note to all other HLS Bloomerangs: You are always welcome here. Contact HLS Director of Administration Emily Stern at emistern@indiana.edu. Staff in the HLS dean’s office can also help you find career-related resources. We frequently organize panels with guest speakers who are available to connect with students. And we are eager to share internship opportunities.